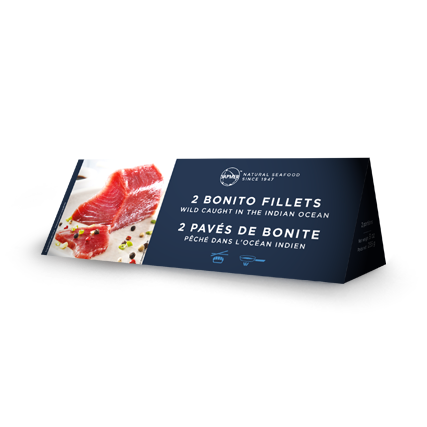 A much-appreciated product in Asia that is also winning the hearts of European gourmets, the Skipjack is gaining evermore popularity. Belonging to the same species as the Ahi Tuna, but smaller, the Skipjack distinguishes itself by its pronounced taste and its deep red color. This fish is the promise of a surprising culinary journey. A member of the tuna family but smaller than the Ahi tuna and found in larger quantities in the Indian Ocean, the Skipjack presents many advantageous features, in particular, its deep red color and unique freshness. 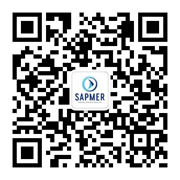 The SAPMER teams guarantee the conservation of these natural characteristics through the methods carried out at sea. The fish is instantly deep-frozen at the ultra-low temperature of -40°C as soon as it is out of the water. This technique promises the consumer a “fresher than fresh” quality with no added preservatives or coloring. 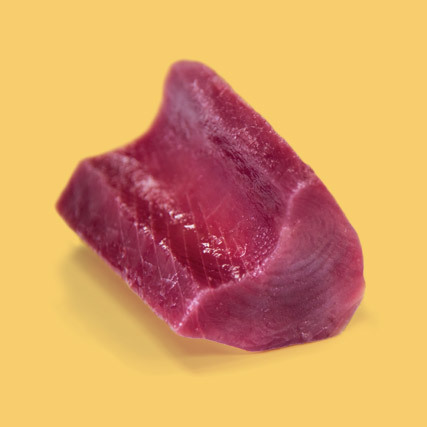 With its deep red, infinitely tender flesh and more pronounced taste than its cousin, the Ahi tuna, the Skipjack is very popular. The Japanese absolutely love Skipjack. Skipjack being aesthetically appealing satisfies even the most demanding European gourmets and is gaining evermore popularity among professionals. A Skipjack recipe is an undeniable invitation to a culinary journey and to a one-of-a-kind tasting adventure. Let yourself be tempted by the most authentic of sashimi versions, simply accompanied by soy sauce. If you’re in for the Tuna Tataki, then, you will surely not resist the Skipjack Tataki. In this preparation, the fish cuts are briefly seared before being plunged into cold water to stop the cooking process, a technique that helps to reveal the skipjack’s distinctive taste. Are you a tartare lover? Then try it out with Skipjack! Either grilled or en papillote (cooked in foil), this fish will always surprise you. Regardless of how you cook it, this fish will reveal all its formidable nutritional benefits. It is rich in proteins and omega 3, which protect against cardiovascular diseases, the Skipjack also contains a lot of trace elements (iodine, zinc, copper, selenium and fluorine) and essential health vitamins.